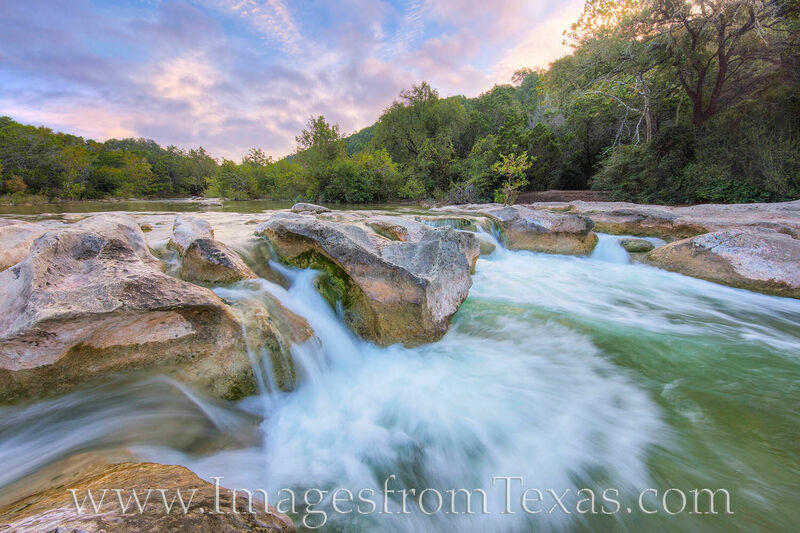 Barton Creek flows through the greenbelt just outside of Austin, Texas. Here, the cool creek waters flow over Sculpture Falls, creating a nice swimming hole for locals just downstream. Mornings here are tranquil and calm, but soon outdoor enthusiasts fill the trails and enjoy the pools on hot summer afternoons. Photo © copyright by Rob Greebon.